According to the 2015 Conference Board report How Canada Performs, Canada receives a “C” grade and ranks 9th out of 16 peer countries on innovation performance. Our economy remains a below-average performer on its capacity to innovate, and a country’s capacity to innovate is linked directly to productivity and economic prosperity. 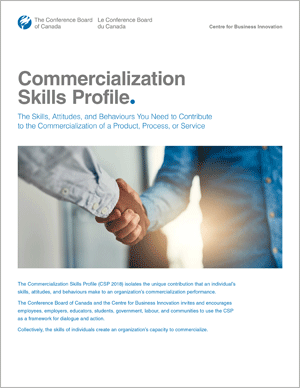 The Council for Innovation and Commercialization (CIC) works to better understand and address these challenges, providing innovation executives in Canadian firms with the contacts, concepts, tools and learning experience to improve innovation performance. Canada’s lagging performance is, in large part, a story of inaction on innovation—particularly, poor commercialization efforts. 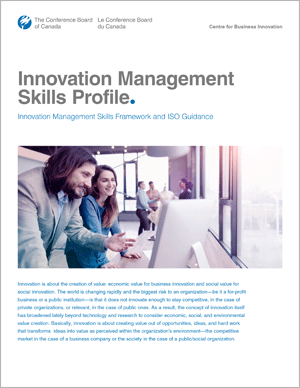 However, the reason for this is complex and involves elements of the innovation ecosystem, cultural influences, the degree of regulation in specific industries, and other macro-economic forces. Through networking with peers and facilitated discussion, the Council for Innovation and Commercialization members share experiences, best practices, and methodologies, thus strengthening their innovation capacity. The Council is a broad-based membership spanning innovation infrastructure in Canada, including SMEs, large businesses, non-profit organizations, academia, and governments. 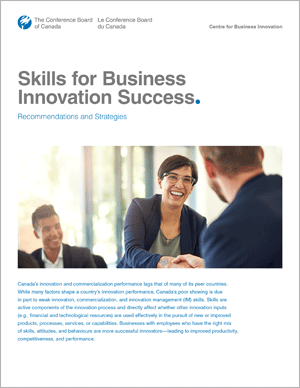 This ensures that members have the opportunity to explore different facets of innovation in Canada while at the same time achieving focus on the needs of their own organization. The Conference Board of Canada defines innovation as a process through which economic or social value is extracted from knowledge—through the creation, diffusion, and transformation of ideas—to produce new or improved products, services, or processes. To serve as a medium for the exchange of experiences, knowledge and ideas related to innovation and commercialization. To challenge participants to a higher level of thinking through stimulating discussion focused on innovation issues and related concerns/opportunities. 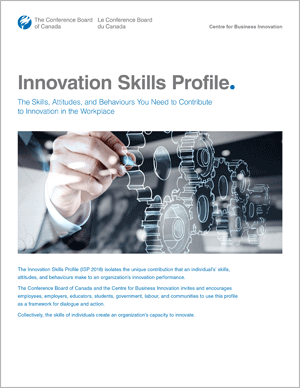 We have released the May 2018 version of the Innovation Report Card that evaluates the performance of Canada, the Provinces, and the Developed Countries. Watch the CBC interview with Paul Preston of the Conference Board of Canada on the Innovation Report Card. Policies, plans and procedures to respond to a cybersecurity breach, including the importance of adequate cybersecurity insurance. Small and Medium Enterprises (SME’s) are commonly considered the economic and innovation engine of the Canadian economy. When SMEs innovate and adopt new technologies, it can have a profound impact on the global competitiveness of Canadian industry. But how can we promote and encourage such a diverse group of organizations to adopt new technology and take Canada to the next level?